With Cocoon’s Approval module you maintain control over the access and location of your media files in the cloud. 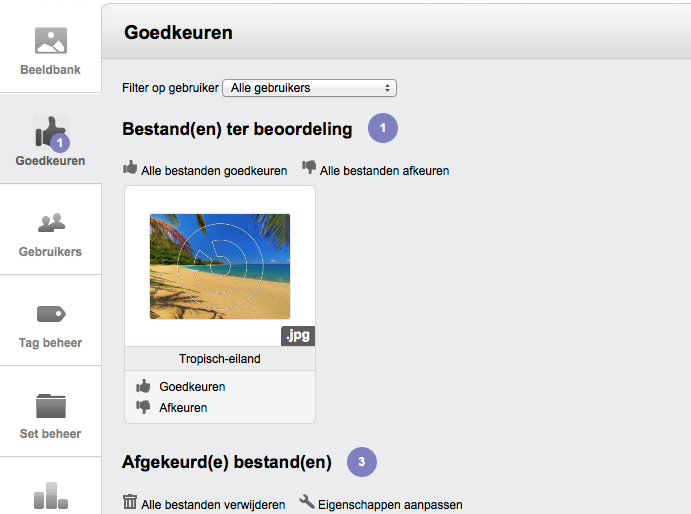 As a manager of Cocoon you can assign user rights for uploading files in the cloud. When you indicate that you want to approve the uploaded files first before they are made available on Cocoon, you keep control on all files.